From cycle commuting to post-work training runs along the river, you lead an active life. And we've got the jacket to match your lifestyle: the Mens JWP Wind Jacket . This ultra lightweight softshell jacket is suitable for a wide range of uses, from sport to everyday wear. This jacket is part of our JW Pack collection, created for commuters, urban nomads and weekend city-hoppers. All of the products in this innovative capsule collection are ultra light and packable and ideal for lightweight travel. 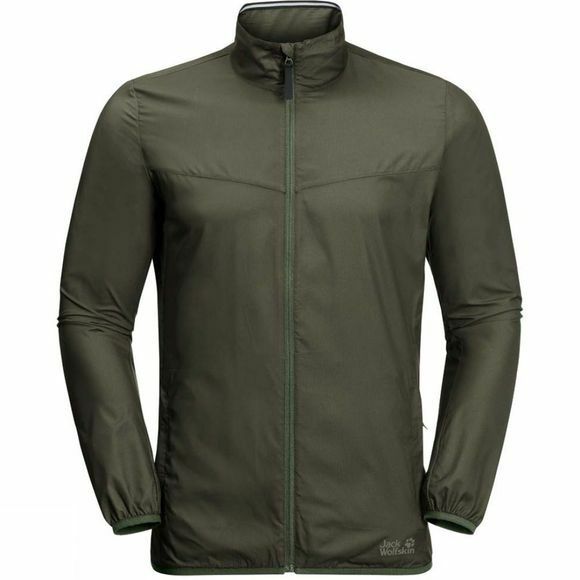 We've used our lightweight Flex Shield Airlite fabric for this jacket. It's slightly stretchy, weights next to nothing and copes well with light wind and showers. The jacket stows neatly in its own little bag, so you can keep it in your pack ready for action when it's needed.